Heading for a school open day? Andrew Peters offers guidance as to what to look out for from headmasters and teachers alike. To judge from one visit whether you feel a particular school can get all the variables right so your child leaves as the educated and well-rounded young adult you hope for is a difficult thing. Key to it all will be the headmaster and the quality of their teaching staff. Their attitude and aspirations to finding that elusive educational sweet spot between the league table ratings of academic achievement and considered pastoral care and wellbeing will be crucial. Prospective parents whose child is off to school face a daunting choice and by talking to headteachers and teachers alike will be able to glean information as to whether a particular school will be able to get the best out of their child. We all know there are many external forces that will seek to undermine these efforts. In the past this would have been peer pressure centred around alcohol and drug taking, but the modern incarnation of this is the beast of social media which has now overtaken all of this. Rightly or wrongly schools are amongst many organisations facing increasing pressure to solve society’s ills. In relation to schools this is obviously a consequence of children spending a large amount of time at these educational institutions. Here is where pupils have the time to develop strong relationships with adults, and this is where the quality and attitude of the teachers comes to bear. As educators, schools are perfectly placed to help and more time should be spent on how best to achieve this. The Sunday Times London Independent Secondary School of the Year 2017/18. There are 433 boys in the junior school (ages seven to 13). In the senior school, there are 860 boys aged 11 to 18, with over 100 girls in the sixth form. The school occupies nearly 20 acres on the south side of Wimbledon Common and owns a further 24 acres of playing fields nearby. The school’s boathouse is on the Tideway at Putney. Junior school open morning, Friday 21 June, 9.30am–12 noon. For entry at 11+ open evenings to be held in June and October 2019. The headmaster has an important and crucial role as they must ensure that they are satisfied with the quality of teaching on offer. It’s up to them to employ and promote the right teachers to the right posts and therefore make their vision of success both achievable and achieved. A headteacher will always have in their mind an ideal for their school, a vision of how everything runs to defined methods, principles and practices that offer the best outcome for the children placed under their guidance and tutorledge as they pass from being a child to a young adult. Ideally at school pupils would take full responsibility for their learning and parents would promote this, working with the school to do so to bring about the desired result. Pupils should know that learning involves risk taking and as Churchill famously said, “failure is not fatal it is the courage to continue that counts”. It is indeed an essential path to success. Pupils should be learning from their own mistakes, experience the consequences of their actions and develop an ability to cope and manage adversity on the own. Teaching requires a variety of factors for a teacher to attain success. Commonly these can be regarded as having a deep subject knowledge coupled with the fact that they want to extend that knowledge beyond the absolute confines of the syllabus they are imparting through their teaching, reading and writing. Above loving a particular subject, a good teacher must be an effective communicator and someone who will create a passion for that subject in their pupils. It’s extremely useful if an individual teacher can communicate equally well on a one-to-one basis as to a group. Notwithstanding the fact that a teacher knows their subject they should be good learners and looking to keep learning themselves. All subjects move forward with time, obviously the sciences as an example, but even history with its established chronology and facts is subject to new findings and interpretations. 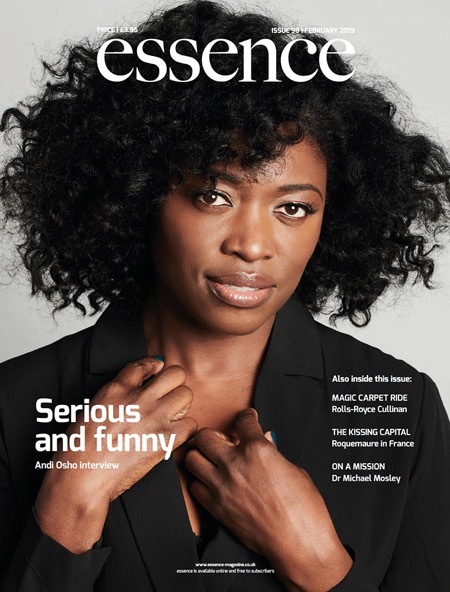 In the last issue of essence, the interview with Dan Snow is testament to that fact. Good teaching has always been a collaborative experience so that any pupil is encouraged to dig deeper and search wider, continuing to ask questions and therefore not be satisfied with the mundane and ordinary. What goes on beyond the classroom is also important, the ability and willingness for teachers to coach a team, run a society or mentor student magazine contributors makes for a well-rounded individual whose enthusiasm will importantly rub off on their pupils. This co-curricular ability has, on numerous occasions, provided a breakthrough for pupils in particular subject previously deemed impossible to master. So when that particular teacher happens struggle alongside pupils in whatever activity the breakthrough comes, and the pupils moves on. In this day and age, a teacher must also have a well-developed pastoral sensibility, in other words possess as much emotional intellect they have intellectual firepower. Teachers who are good at what they do empathise with all their pupils from the weakest to the strongest, the introverted and extroverted. Being able to coax out of youngsters their worries and concerns, hopes and fears does not come naturally to some but can be encouraged by the correct guidance and effective training. The best teachers are therefore likely to have more than one string to their bow and after all is that not what you would want for your child? Parents should worry less about the particular curriculum offered and more about how it is delivered, so question the head, the teachers and the pupils themselves to see if that particular school can find your child’s sweet spot and develop it. This will then go a long way to provide your child with the best chance to leave school as a well-adjusted individual with a strong sense of themselves, proud of their abilities and knowledgeable about their shortcomings and weaknesses. They will be aware that through their ability to learn they will be able to continue improving, never relinquishing a sense of curiosity, not afraid to ask for help when required and have a strong sense of their place in today’s increasingly competitive society. An education should produce a child who enjoys challenges, values friendships, is able to take risks without fear of failure, and on leaving school has discovered their talent and passions, but above all themselves. 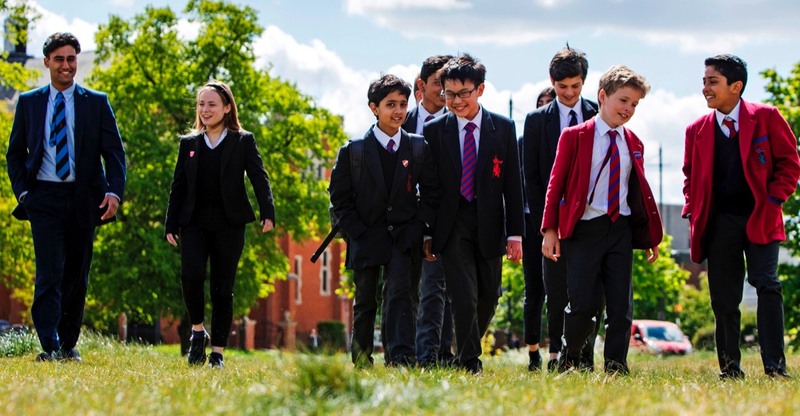 Manor House School’s Head of Prep, Ms Suzanna Lopez, outlines the benefits of an independent education and why it’s best not to wait. The ages of four to seven years are crucial in setting the pattern of progression future learning in Literacy, Mathematics and other core areas. 2. A better teacher to pupil ratio guarantees discipline and a stronger work ethic At Manor House is 12 pupils. The smaller ratio encourages our girls to work harder. All the classrooms at Manor House are equipped with computers and interactive whiteboards. The aim is that Early Years and Key Stage 1 pupils (up to Year 3) will also have access to a set of tablets, as part of the school’s iPad for Learning initiative. All the Early Years teachers and teaching assistants at Manor House have iPads with the Tapestry app installed. Manor House hosts two parents’ evenings and six drop-in sessions, and parents receive two (mid and end of year) formal reports. The school offers a complete educational experience from two to 16 years, our Reception pupils benefit from access to all the sports facilities used by the Prep and Senior pupils. 6. Inspiring and nurturing creativity from an early age Manor House builds on its’ academic reputation by attaining similar success in the performing arts. For those who already have some savings or grandparents or family members willing to help, it may be worth exploring paying some of the fees in advance. Lifetime gifts to a certain level are free of tax. This, of course, assumes your child will be happy at the chosen school – not always a given. For the early years, cash will be need and some of the fees may be payable from income. Overall, probably the best savings vehicle will be an ISA as any savings placed in one grow free of any tax. The allowance per person currently stands at £20k per year, so a couple could save £40k a year tax free. The best way to ﬁnd out about life at Guildford High School is to come and visit us. We hold regular visitors’ mornings throughout the year, which will give you a real ﬂavour of a day at the Junior and Senior School. 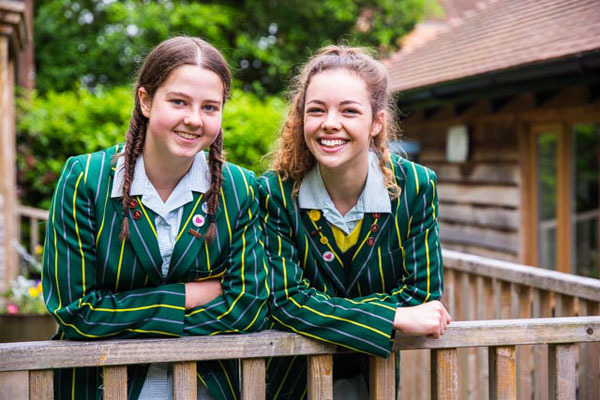 You will also have the chance to hear from Mr Gibb, Head of Junior School or Mrs Boulton, Headmistress, and to talk to girls, visit lessons, meet staff and ask questions. Junior and Senior School visitors’ mornings take place from 10am–12 noon. If you would like to attend one of our visitors’ mornings please visit our website, email guildford-admissions@guildfordhigh.co.uk or call us on 01483 543853. The school play is still a highlight of the academic year, but the number of pupils taking GCSE music, drama and the creative arts is falling. What do Eddie Redmayne, Tom Hiddleston and Damian Lewis all have in common? Like this year’s golden globe winner Oliva Coleman (Gresham’s in Norfolk) they all began treading the boards at school. Talent can be spotted early on as was the case with a certain Benedict Cumberbatch. He was identified by his drama teacher at Harrow as being a 13-year-old of exceptional acting ability, a combination of intellect and intelligence. The creative arts subjects are being cut back with the consequent result that pupil numbers taking these at GSCE have fallen to a 10-year low Independent schools see the performing arts as a vital cog in the children’s education encouraging confidence and self-esteem. They are also an important part in the UK’s creative industries which generate over £80 billion a year for the economy. Even if pupils don’t take music or drama as a subject share the huge benefits from just getting involved. Putting on a show is a major undertaking with lots of jobs to perform to get the show on the proverbial road. Set design, construction, costume design and logistics all provide confidence, opportunities for teamwork, problem solving and communication, the list goes on. The whole team can rejoice in the success of any event. It’s not just that though the subject matter of a musical or play may well tackle for example bullying or body identity and image and do so in a different way and from a different perspective. School productions are an excellent means to teach all the life skills such as compromise, perseverance, patience, and respect and perhaps most importantly that as in life things don’t always go to plan and when things go wrong you have to adapt quickly. At the end of the day a pupil who sits quietly at the back of the class not saying much may perhaps be the next Benedict Cumberbatch or Olivia Coleman. If they don’t have the opportunity, then who will find out what could have been?